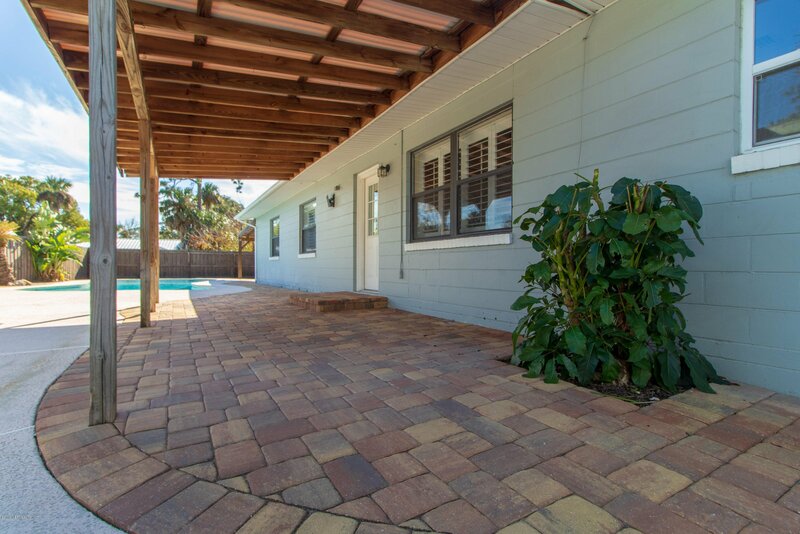 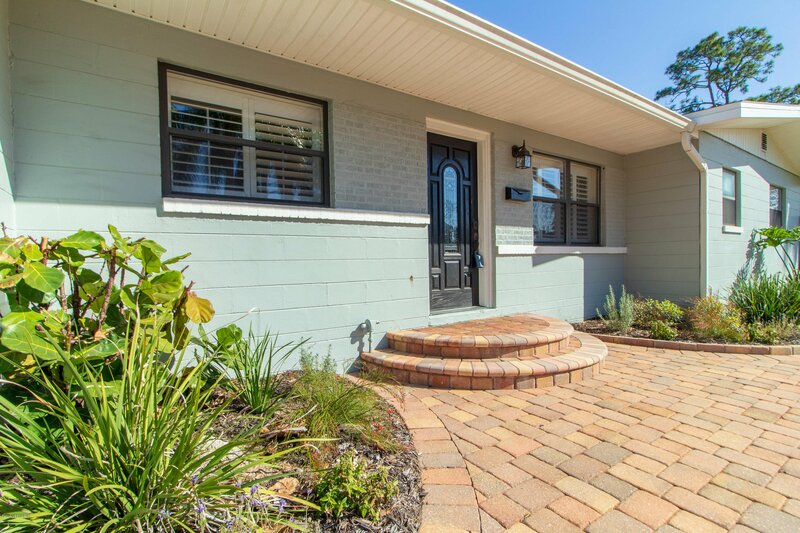 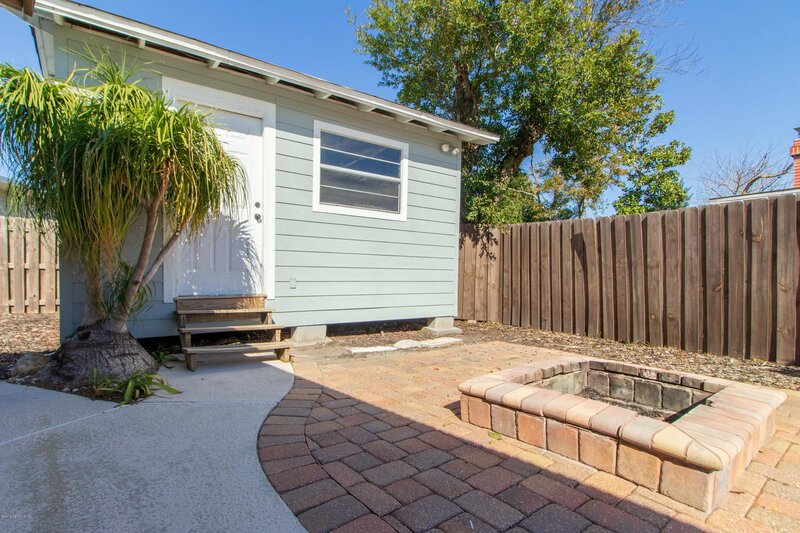 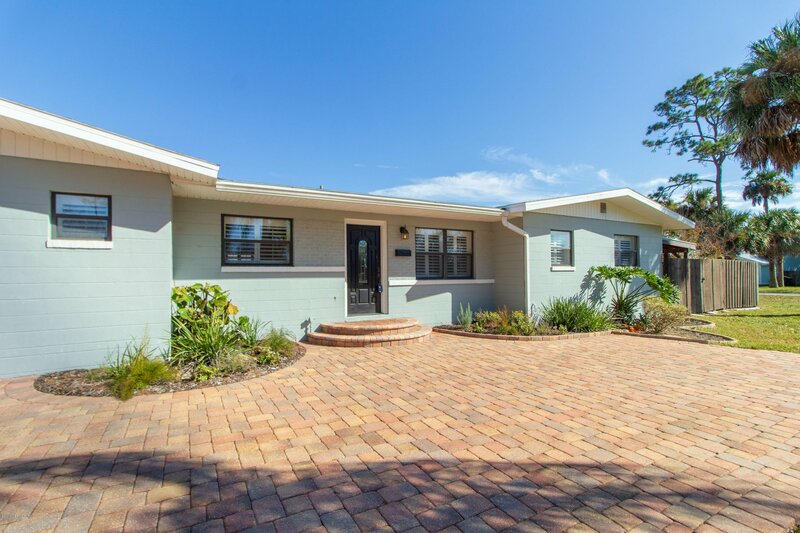 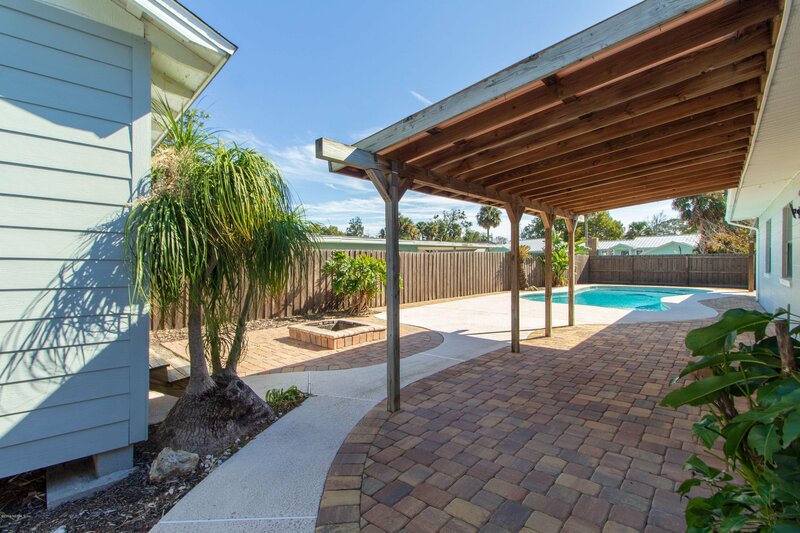 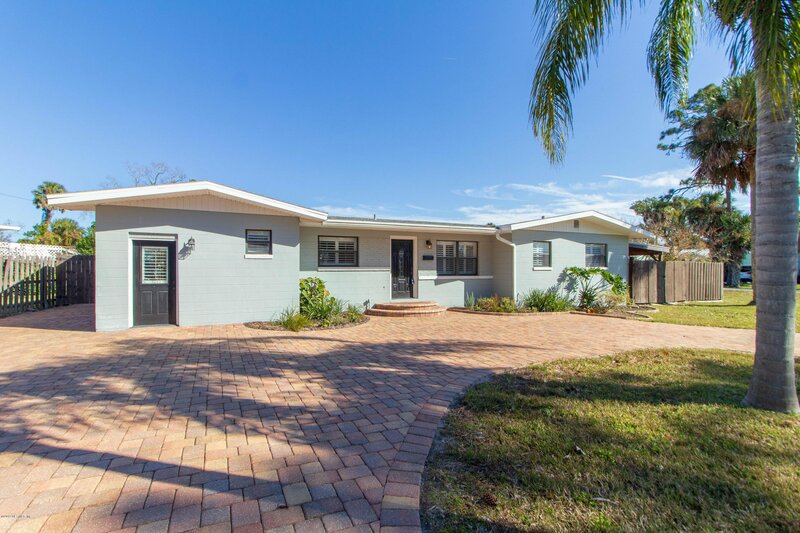 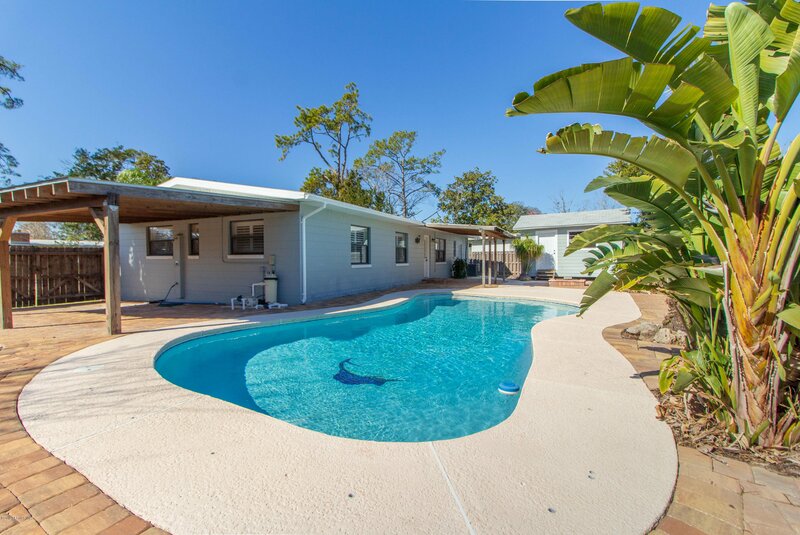 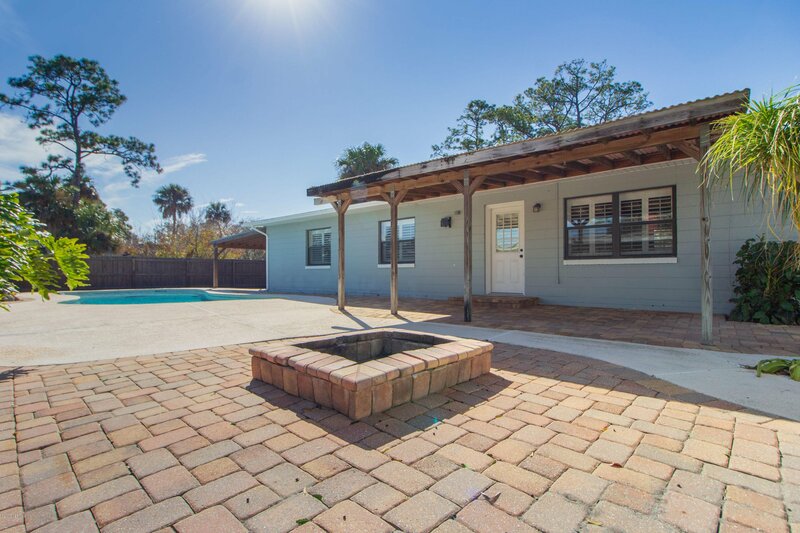 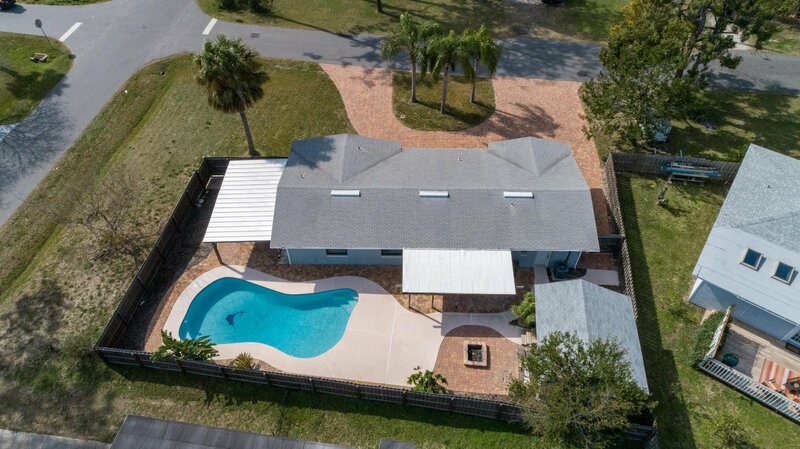 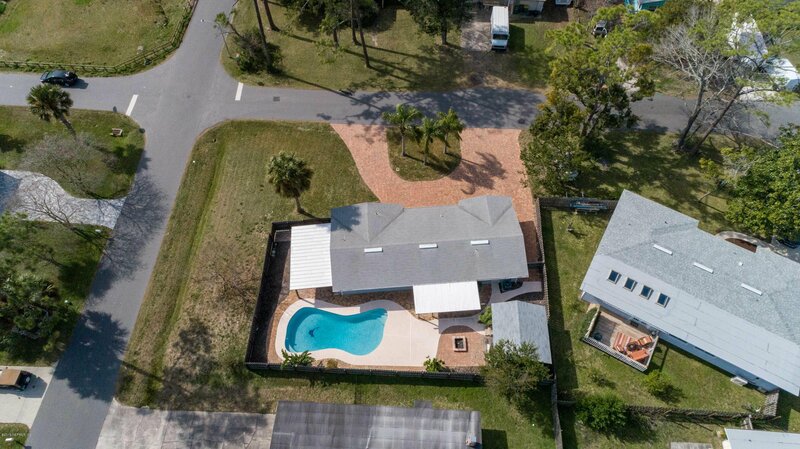 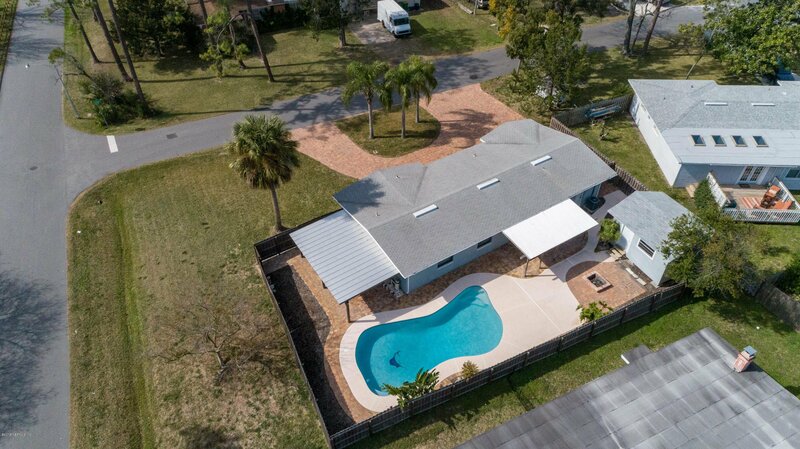 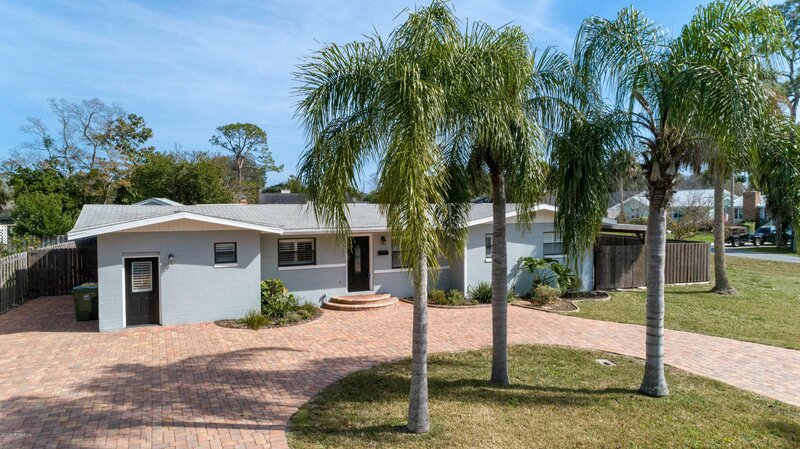 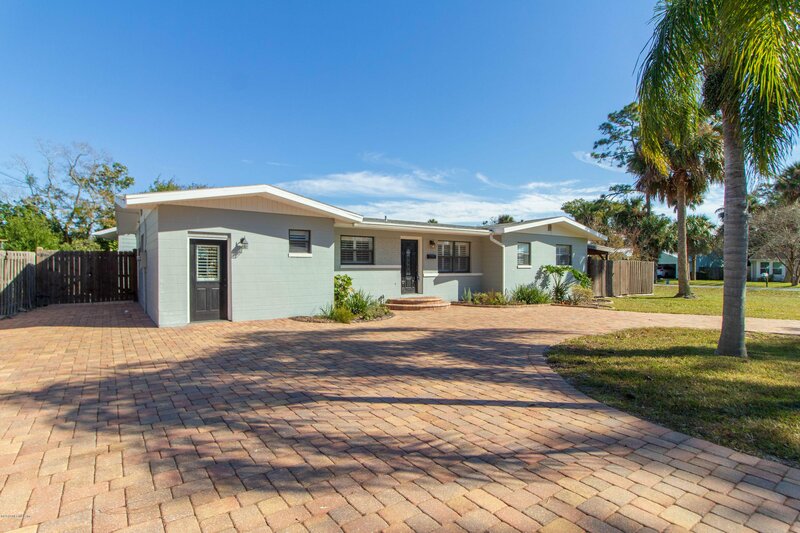 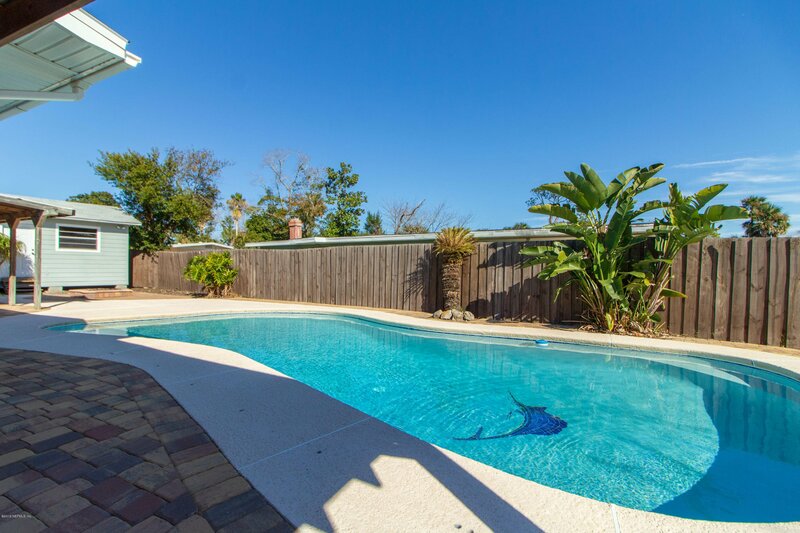 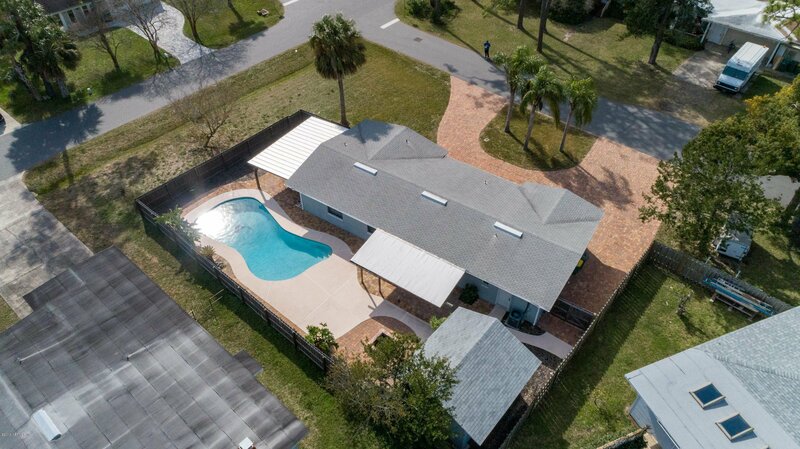 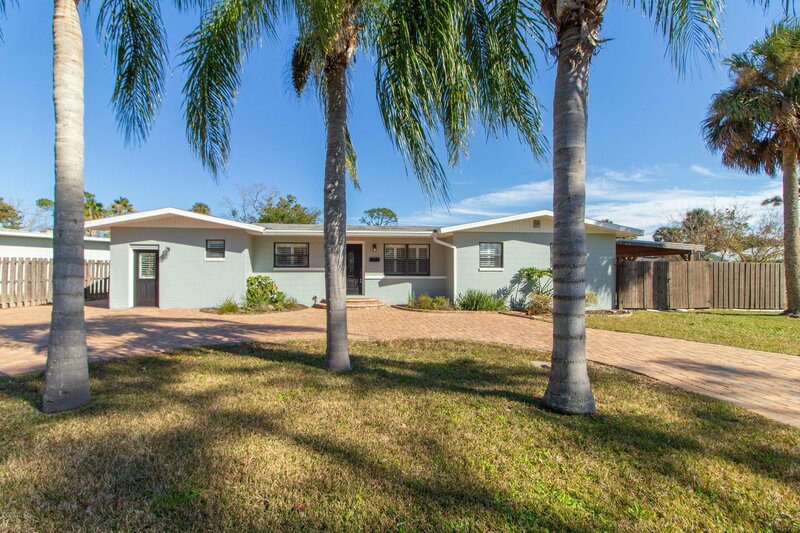 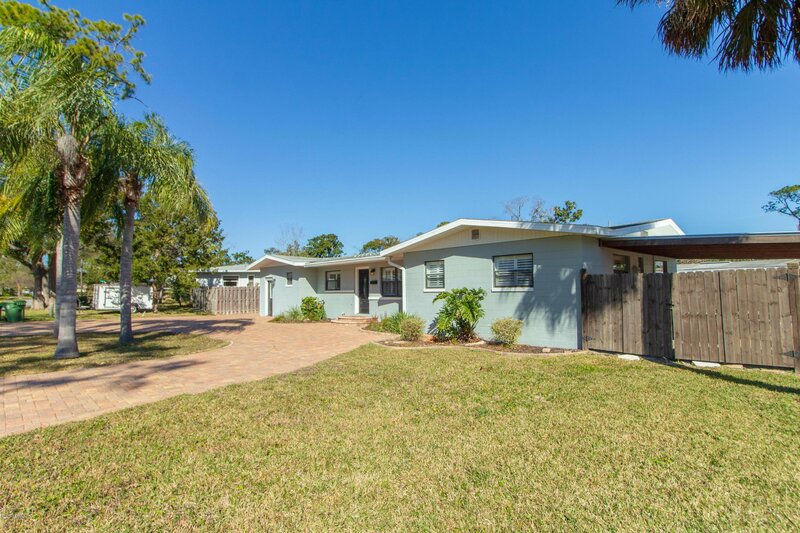 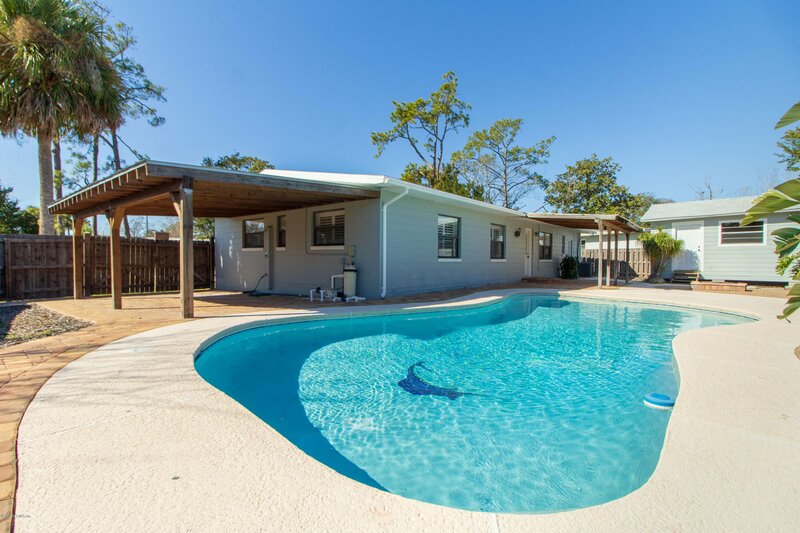 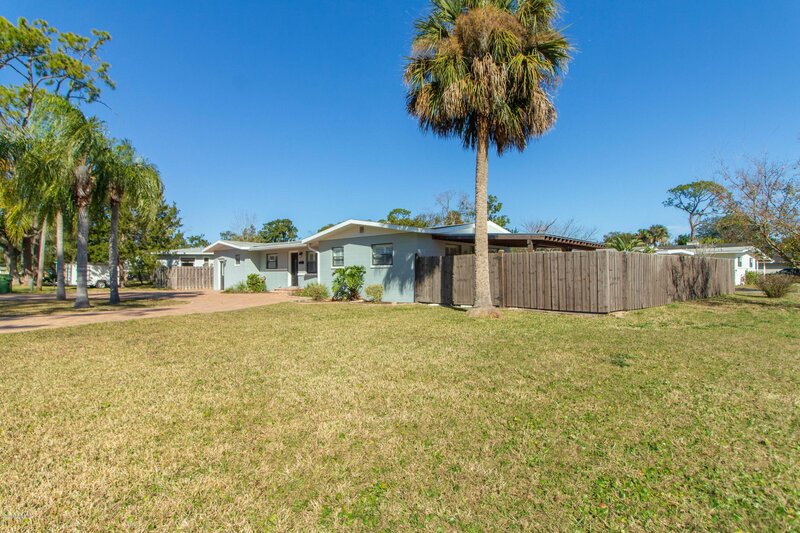 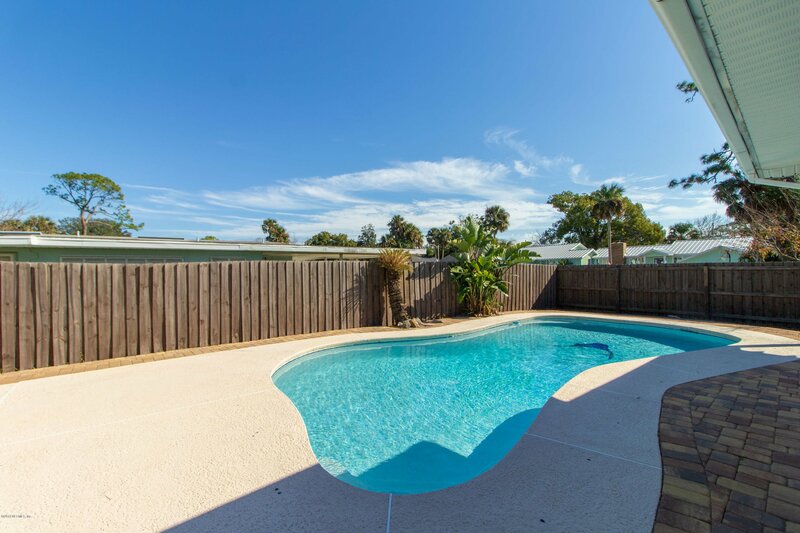 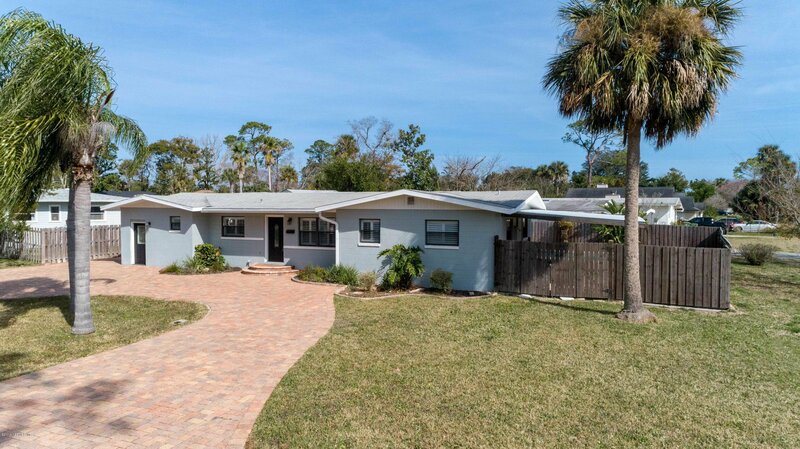 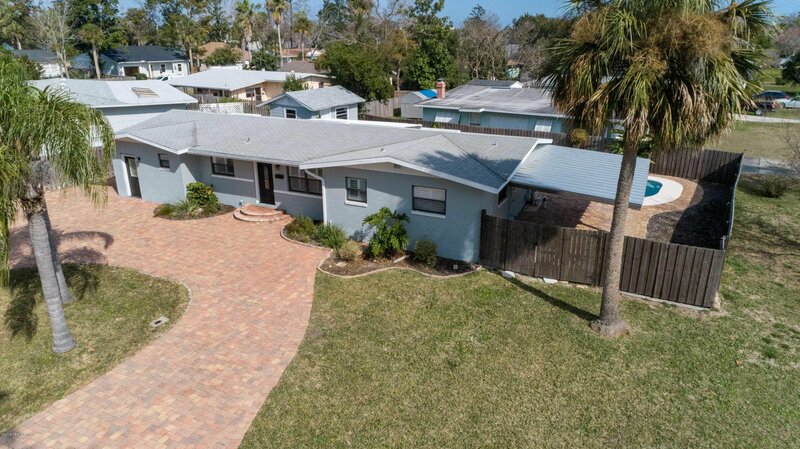 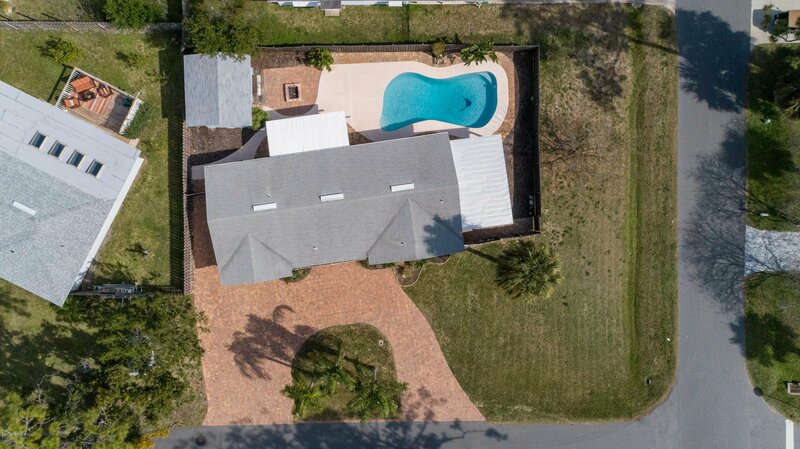 Reach the beach in this quintessential concrete block ranch w/POOL! 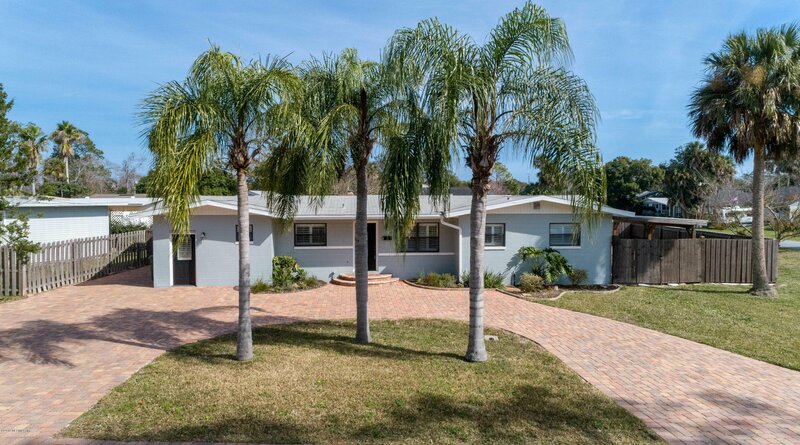 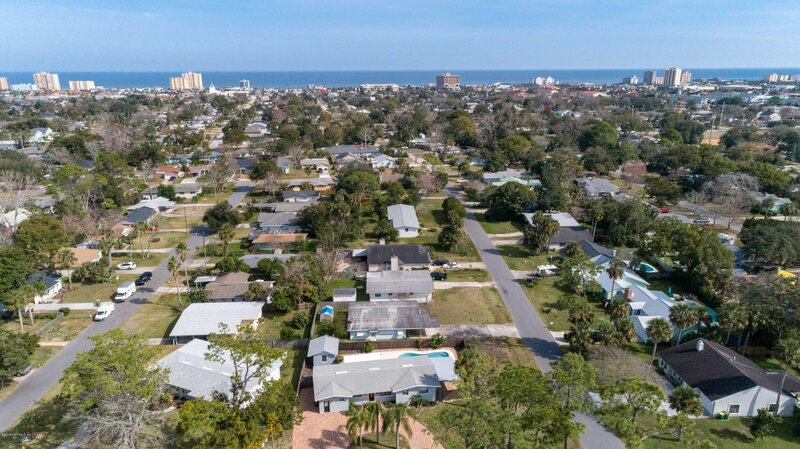 Huge corner lot, large pavered circular driveway, updated and ready to move right in! 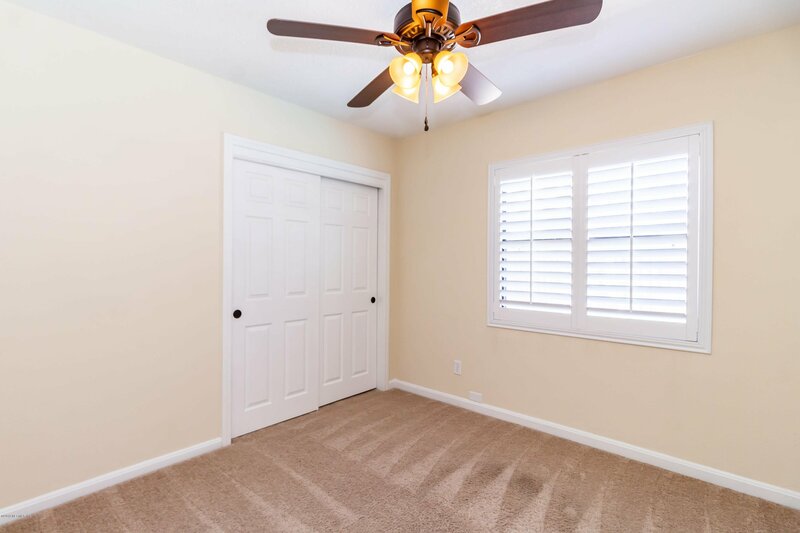 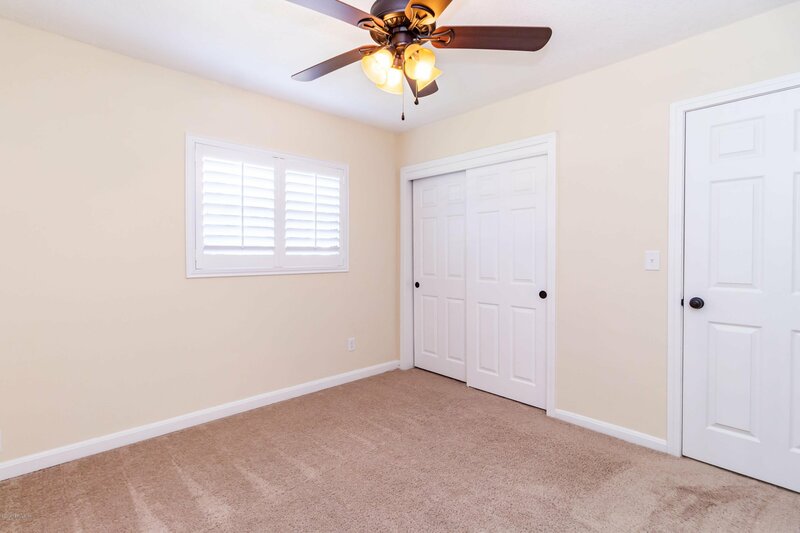 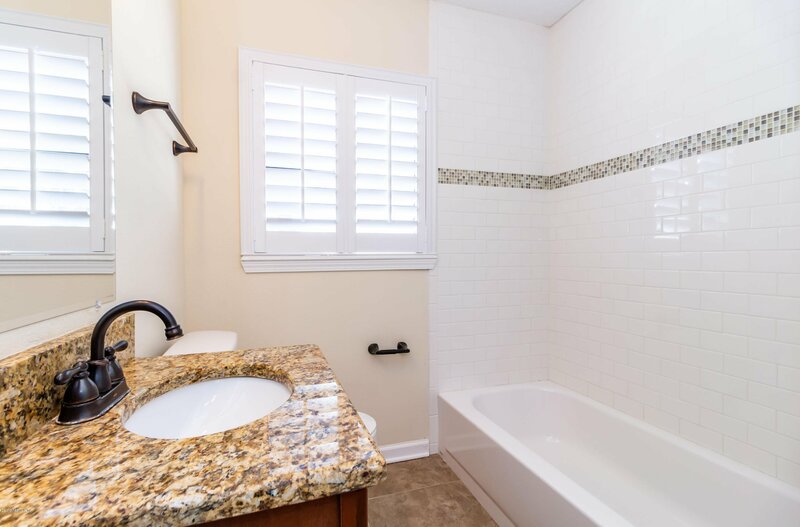 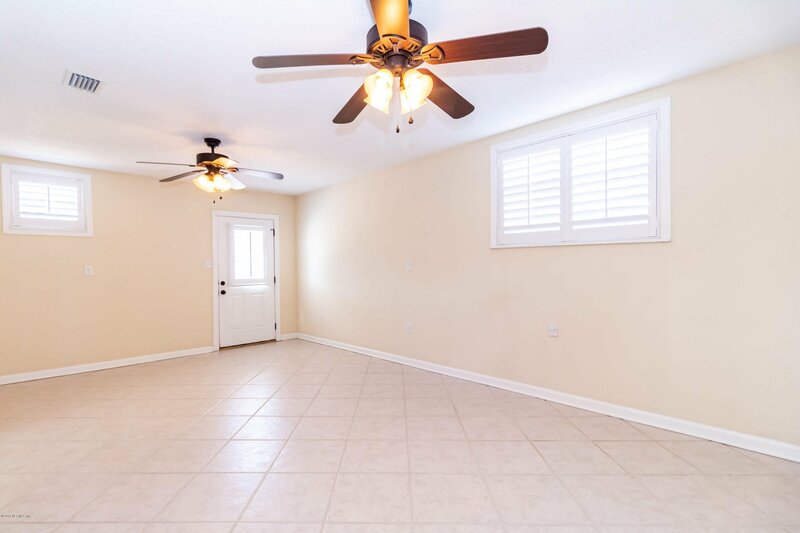 Immaculate and sparkling clean, this home features a spacious layout w/plenty of living spaces to relax & entertain! 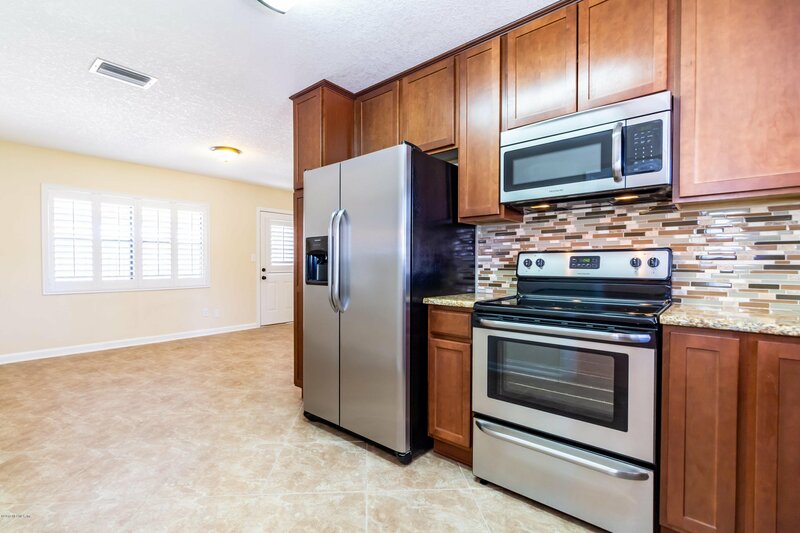 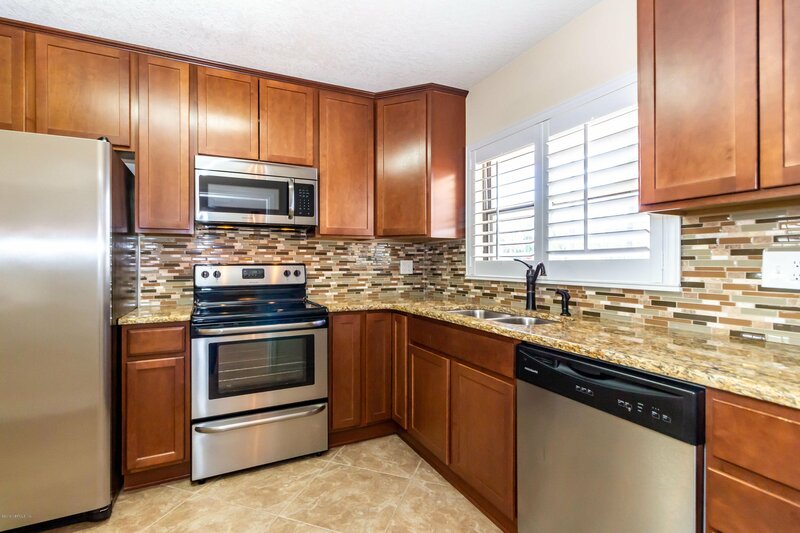 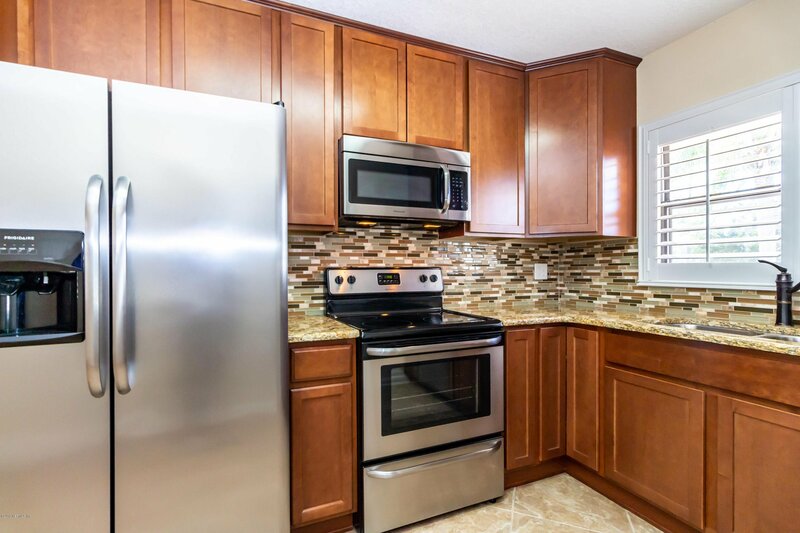 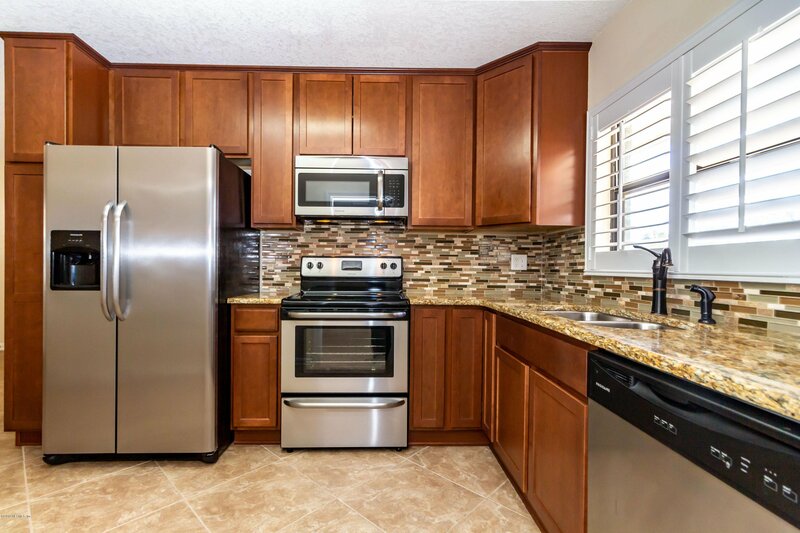 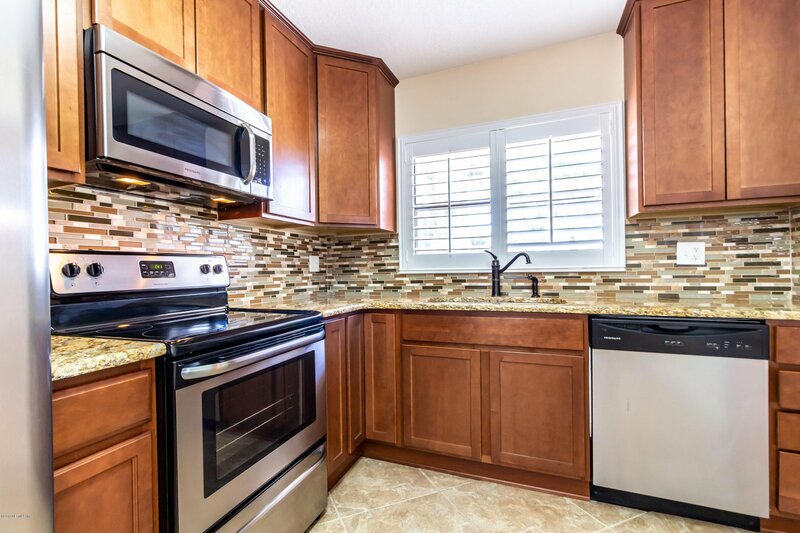 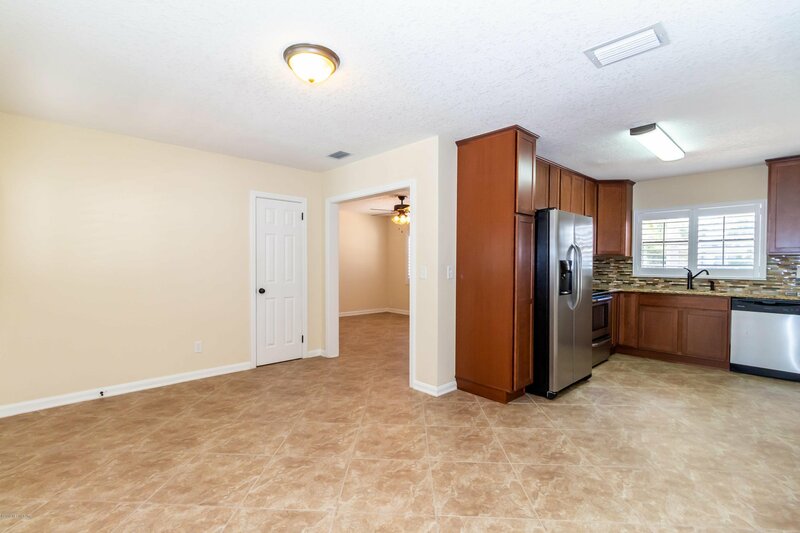 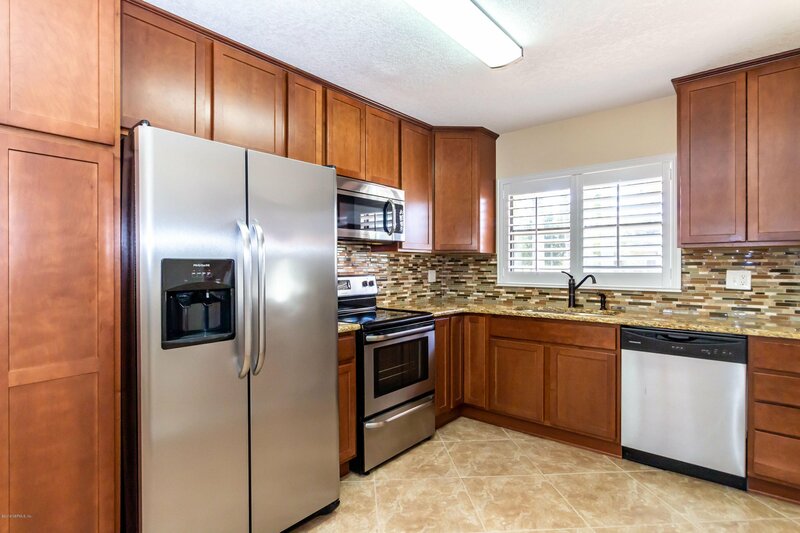 Kitchen has granite counters, wood cabinetry & stainless appliances. 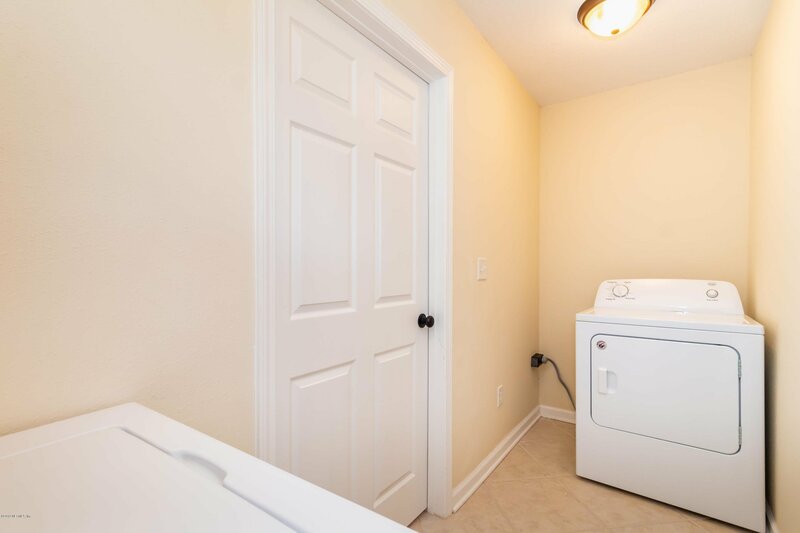 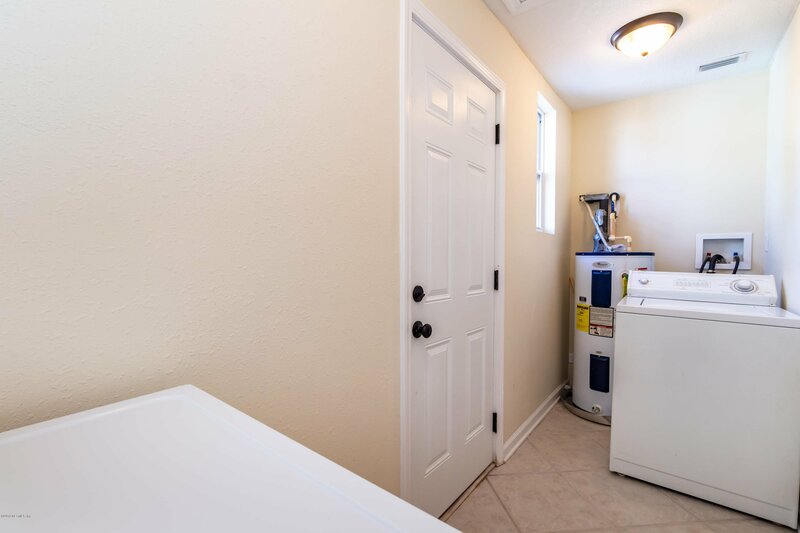 Interior laundry & washer/dryer included. 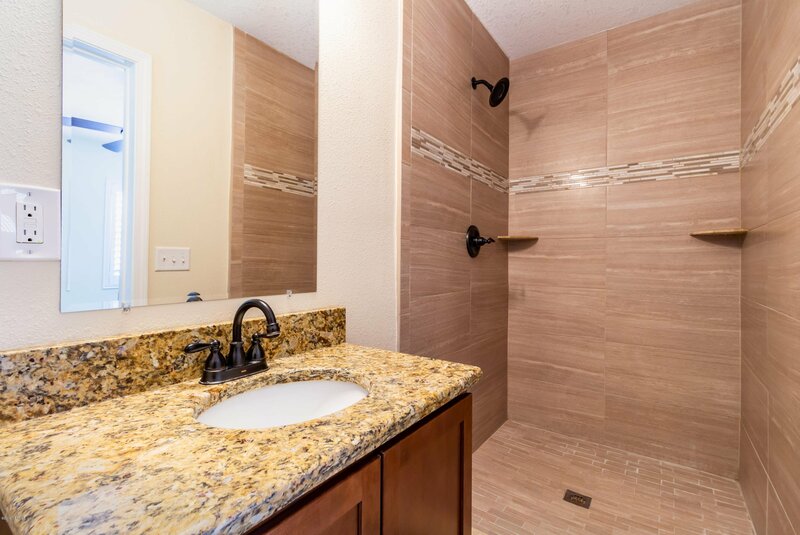 The master has updated bath w/large shower. 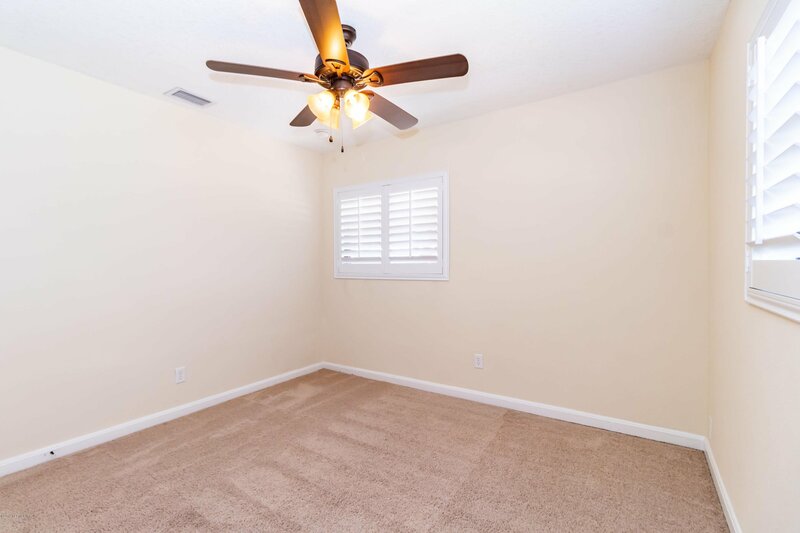 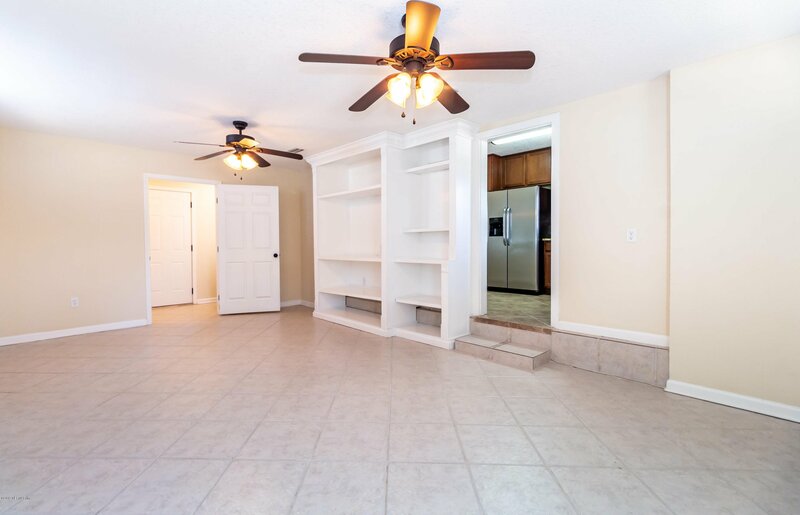 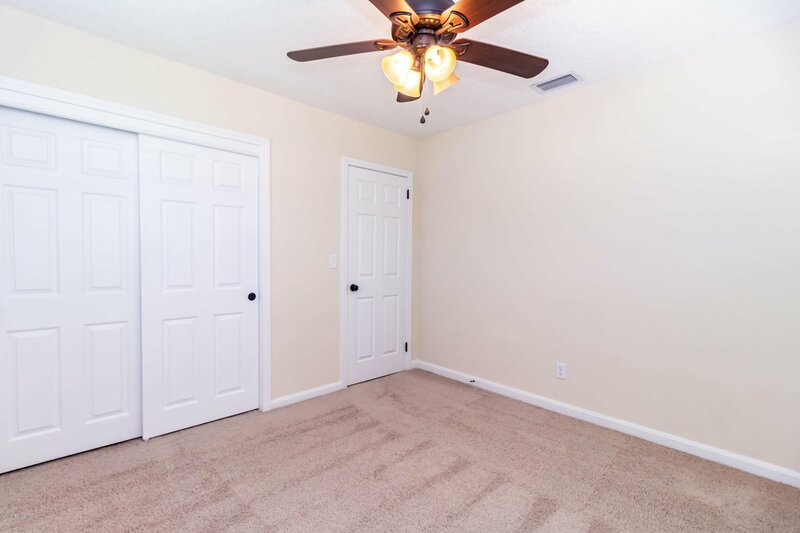 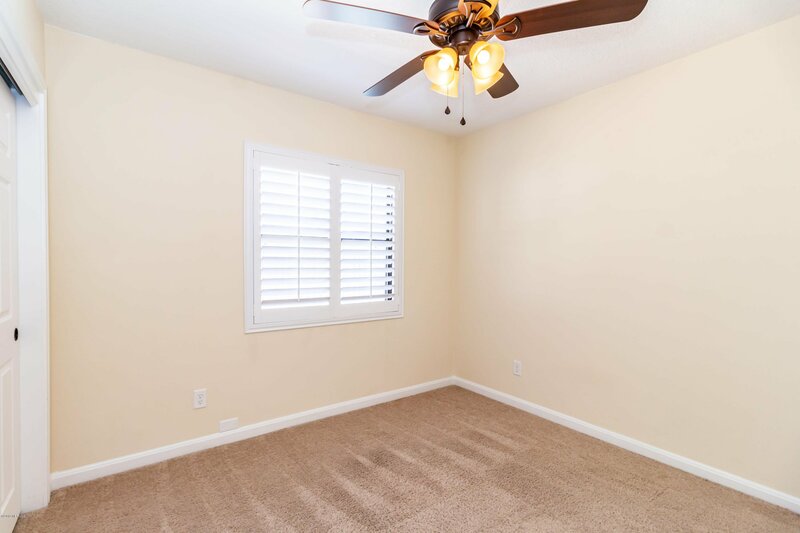 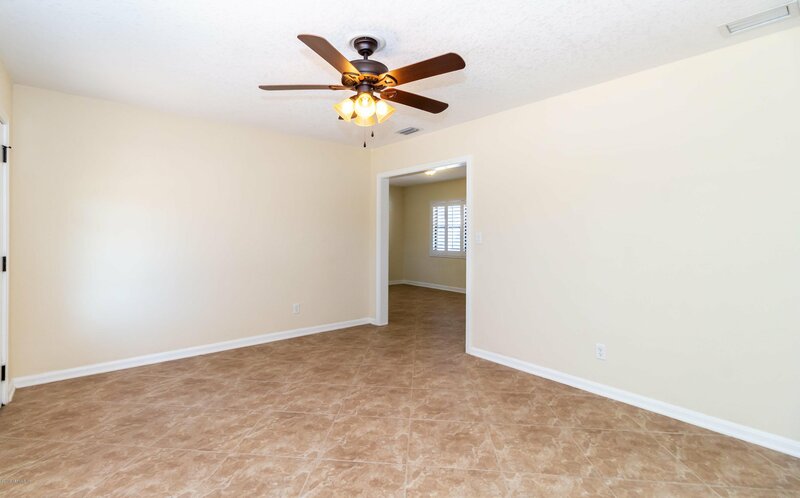 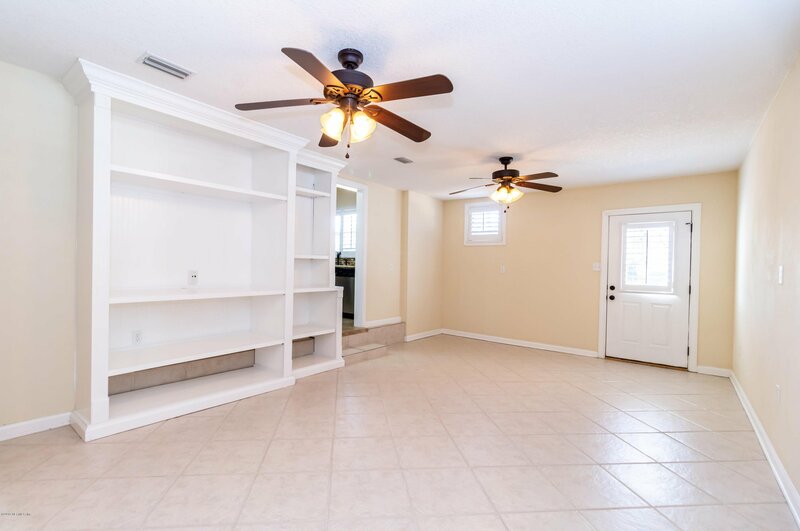 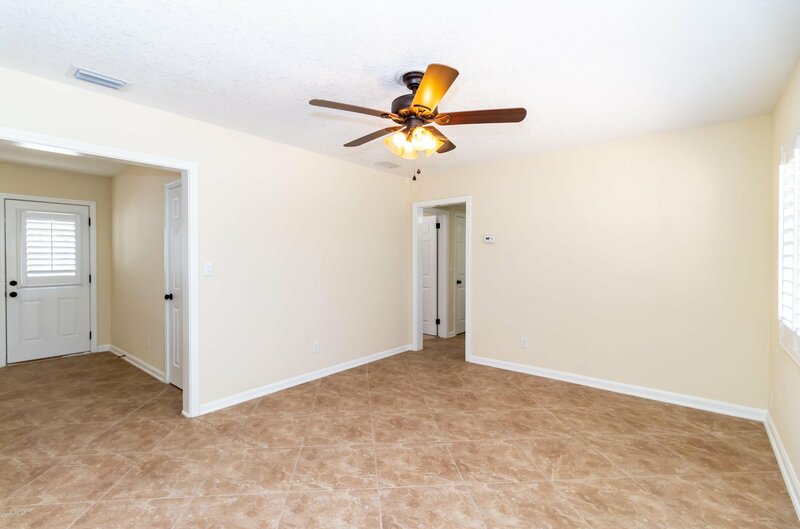 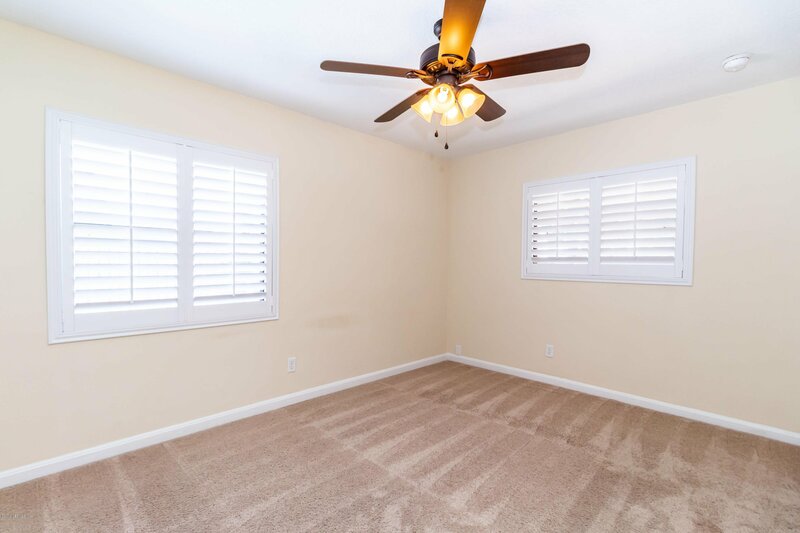 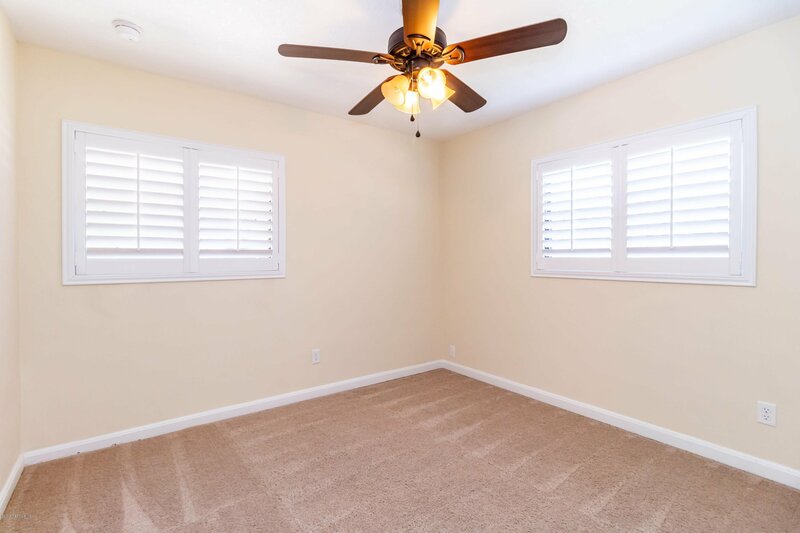 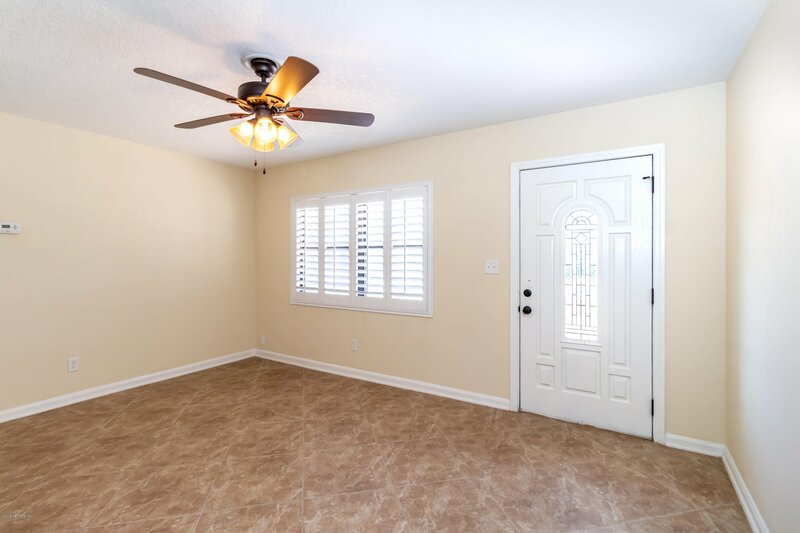 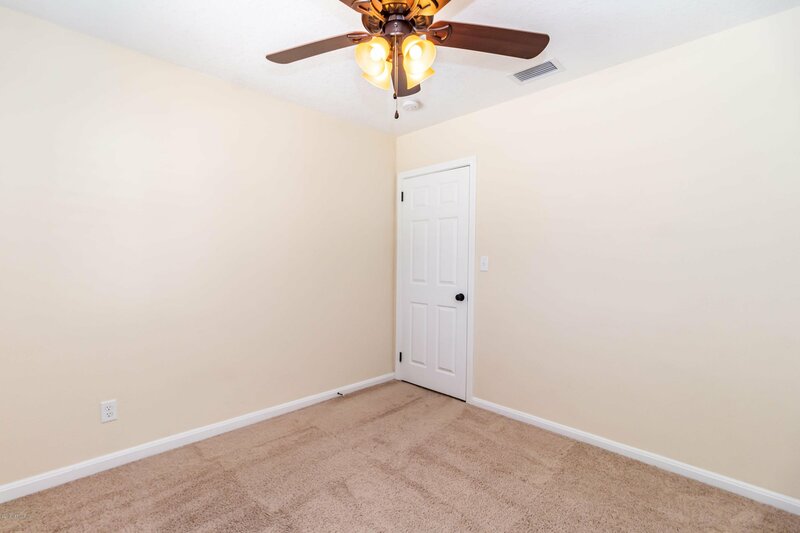 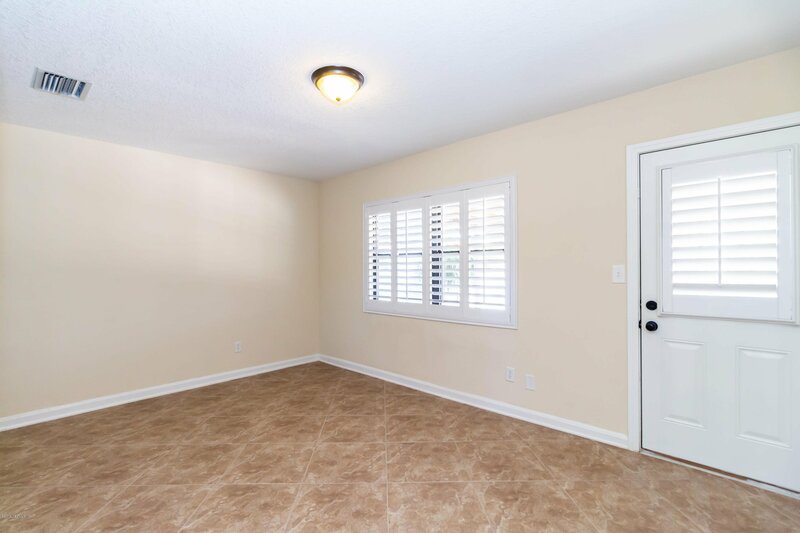 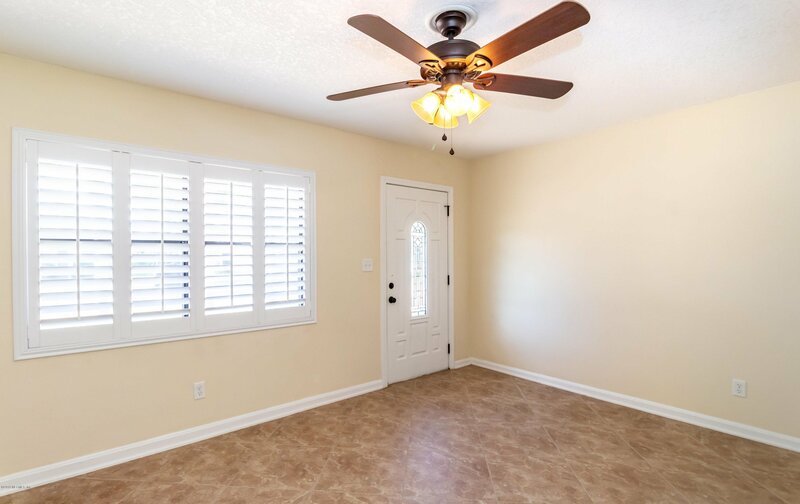 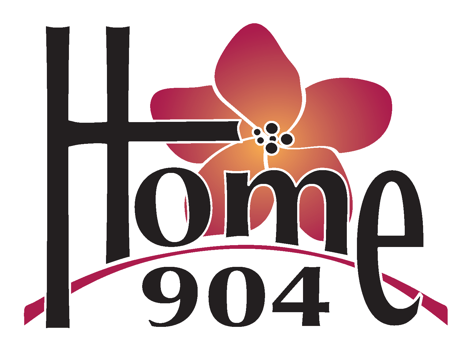 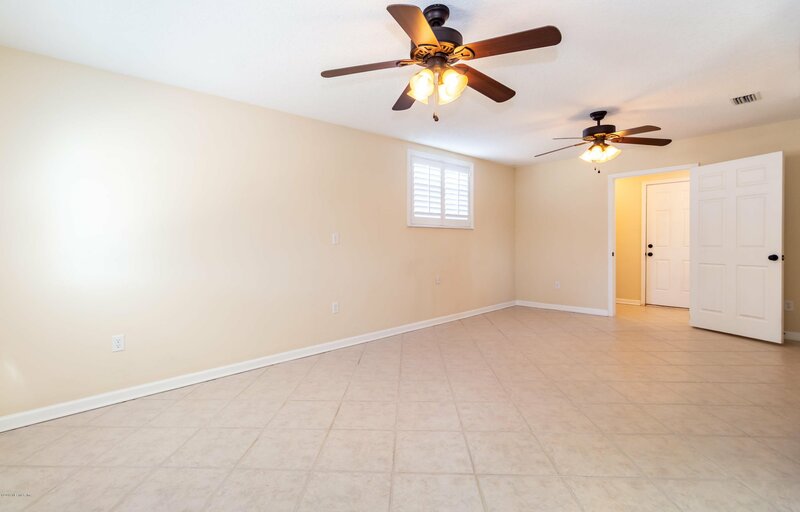 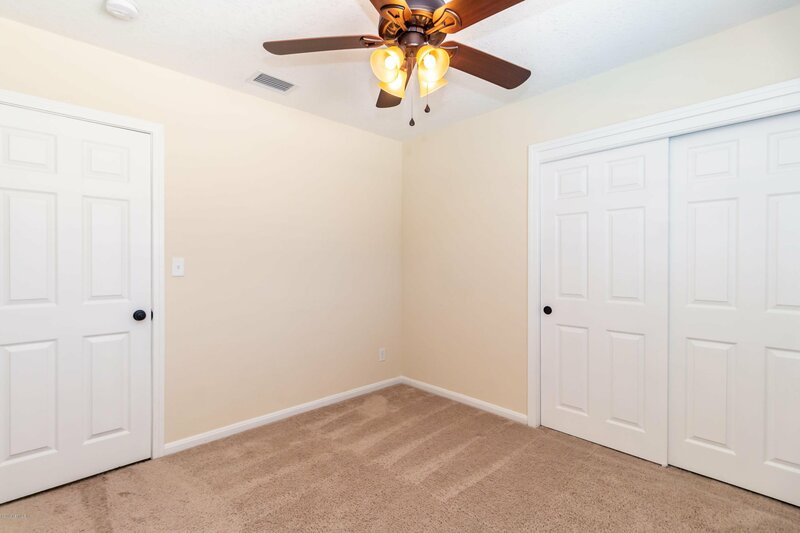 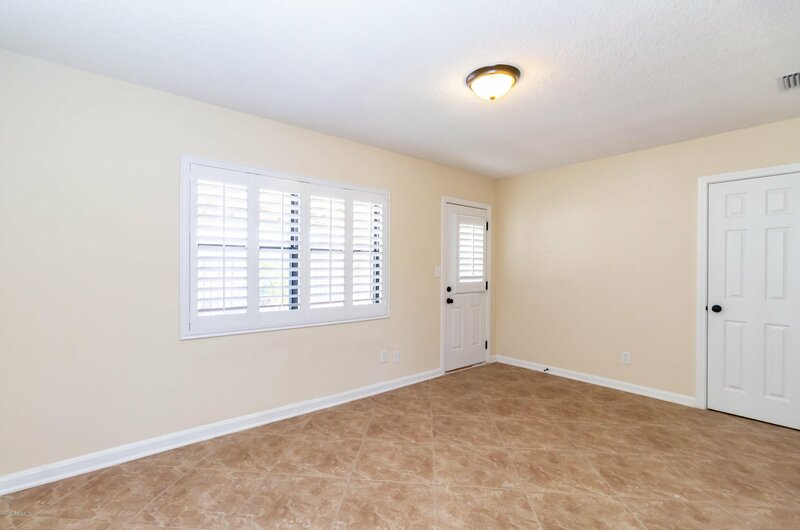 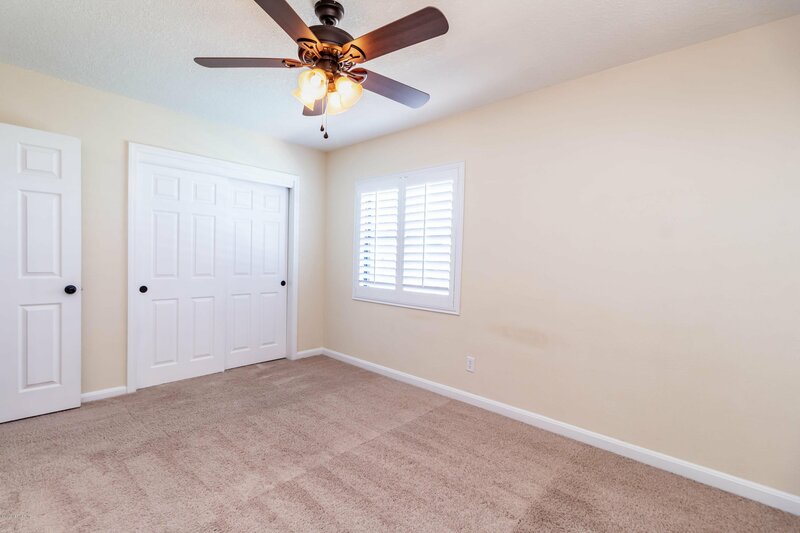 20 inch tile throughout living areas, knockdown ceilings, plantation shutters, 5 panel doors. 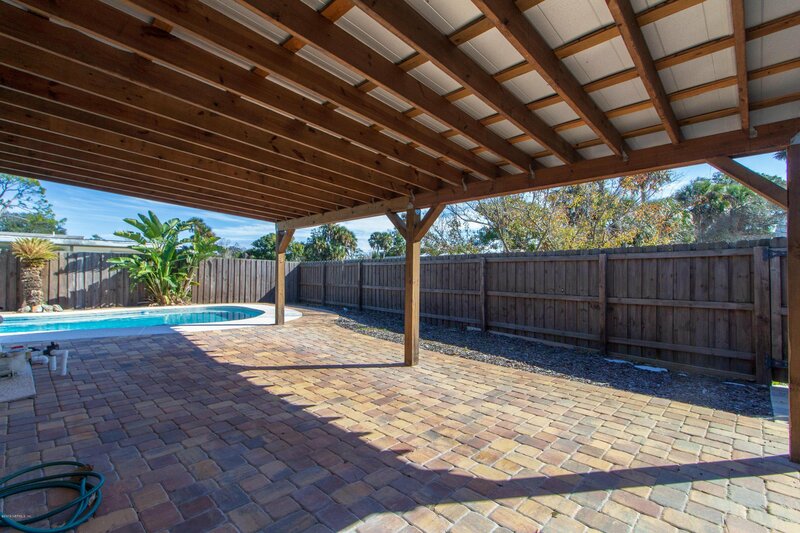 Step outside to spacious covered patio & fenced yard w/pool & firepit. 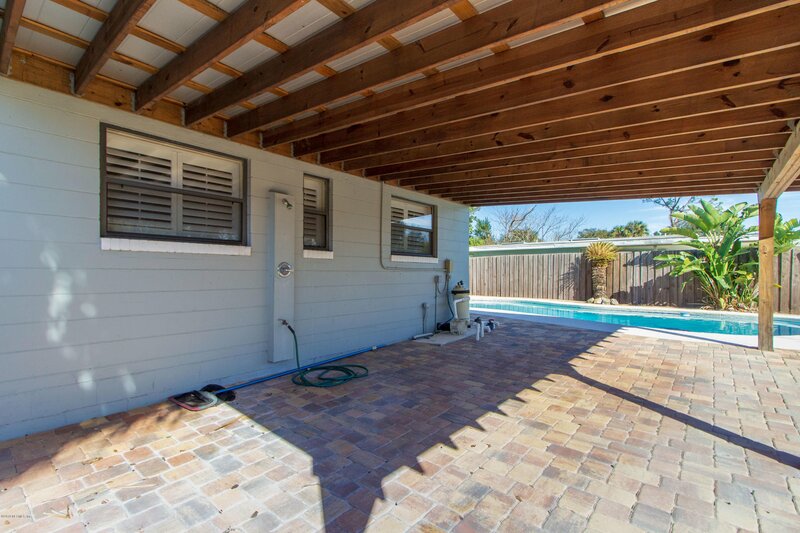 Detached shed ideal for storing lawn equipment, pool toys & those surfboards! 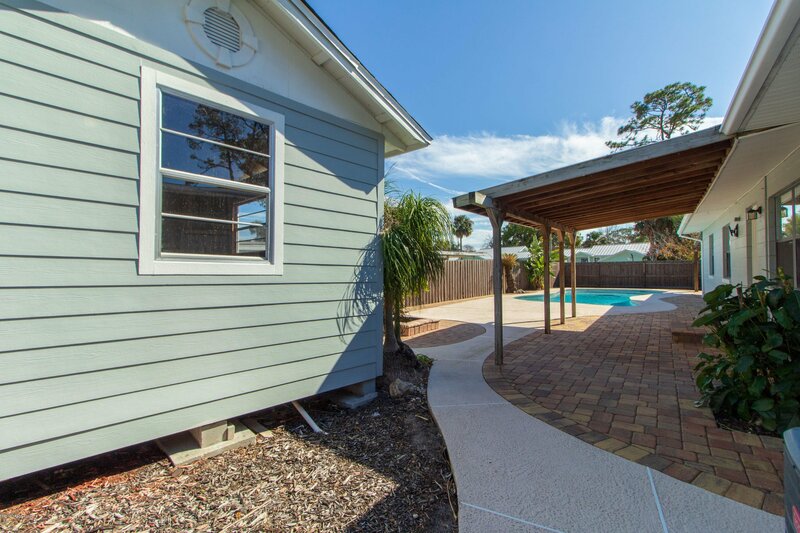 You'll love the additional covered space that is ideal for boat/RV parking or use as an additional outdoor space as you wish.